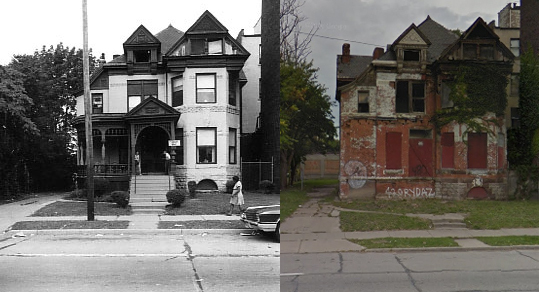 Neglected, abandoned house at MLK and Second in Detroit. Photo by Steve Neavling. Update: House was demolished Friday. 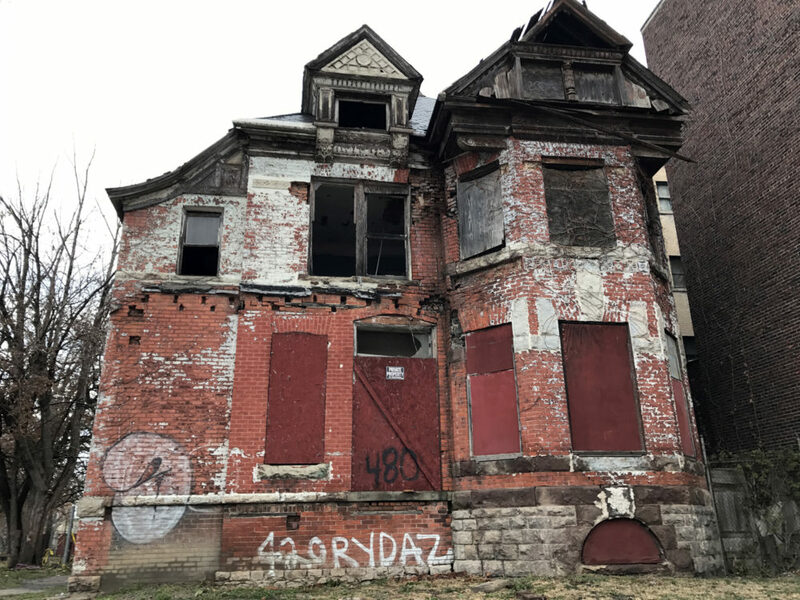 The owner of the popular Bucharest Grill restaurant chain allowed two of his vacant buildings in the Cass Corridor to become dangerous, crumbling eyesores that served as makeshift dens for drug addicts and prostitutes. Needles scattered on the property. Used condoms, broken glass and dozens of exposed needles were strewn across the property at Martin Luther King Jr. and Second. 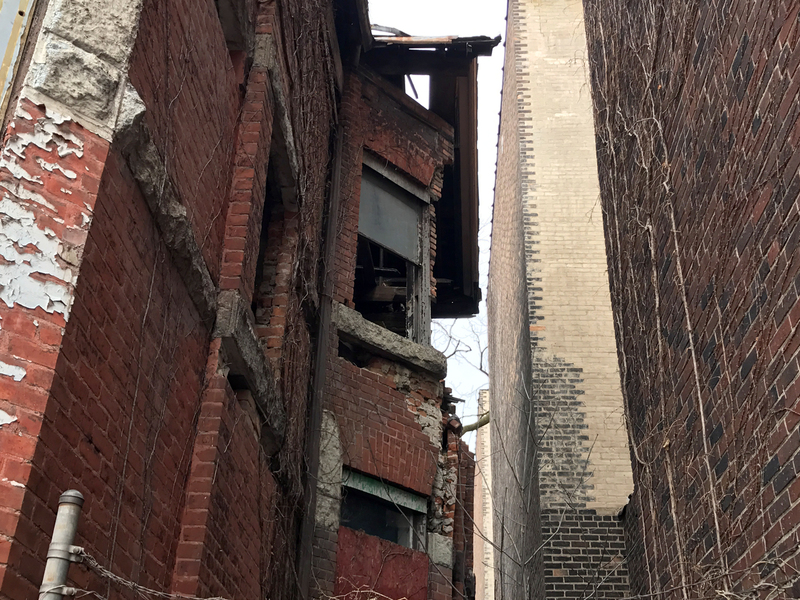 The once-beautiful house is shedding bricks, and the roof in the rear collapsed where trespassers routinely gained access. 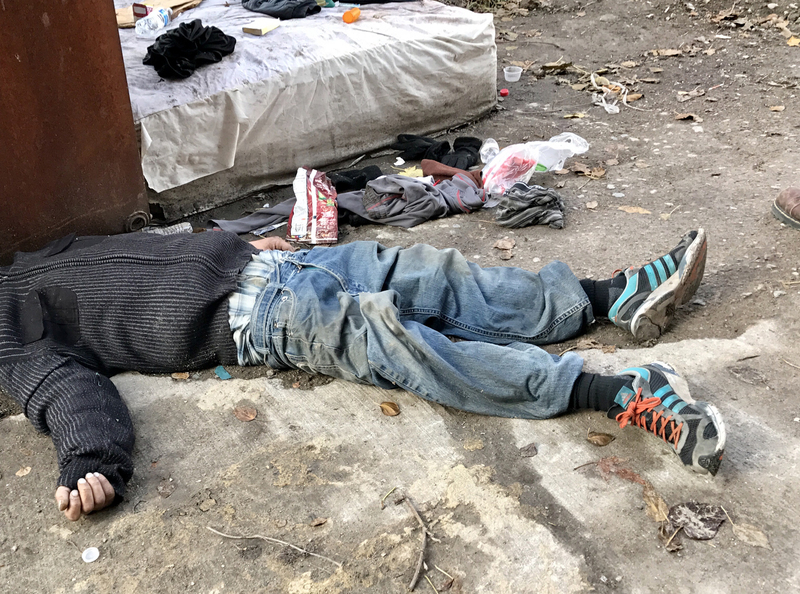 A man who had overdosed on heroin was recently found behind the building in the rear. A few days later, Tarasov boarded up the buildings and erected a fence around them. The properties are next door to a low-income apartment, King Arms Hotel. 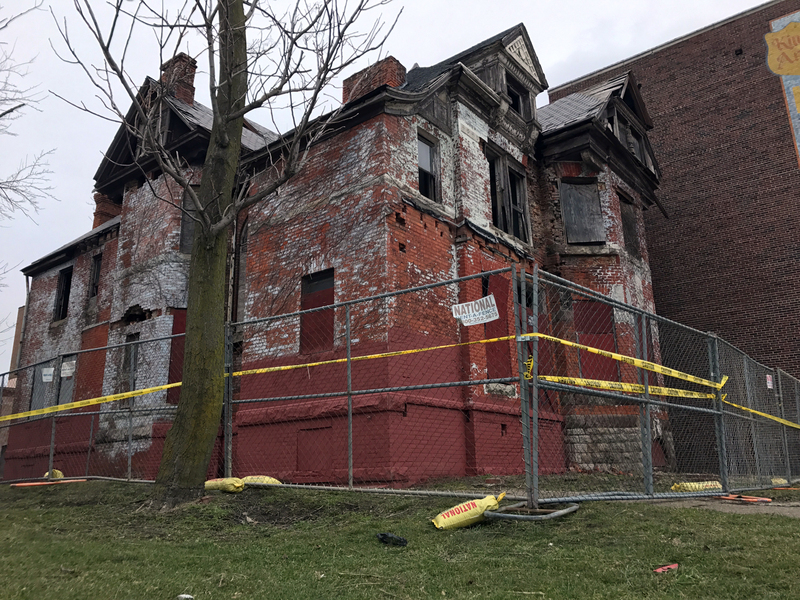 After years of neglect, the house was deemed unsafe and may be torn down as early as Friday. Tarasov, who is planning to open a fourth Bucharest Grill in Detroit, didn’t return calls for comment. The history of the house is murky because the address has changed at least four times in the past century. The house before it was abandoned. 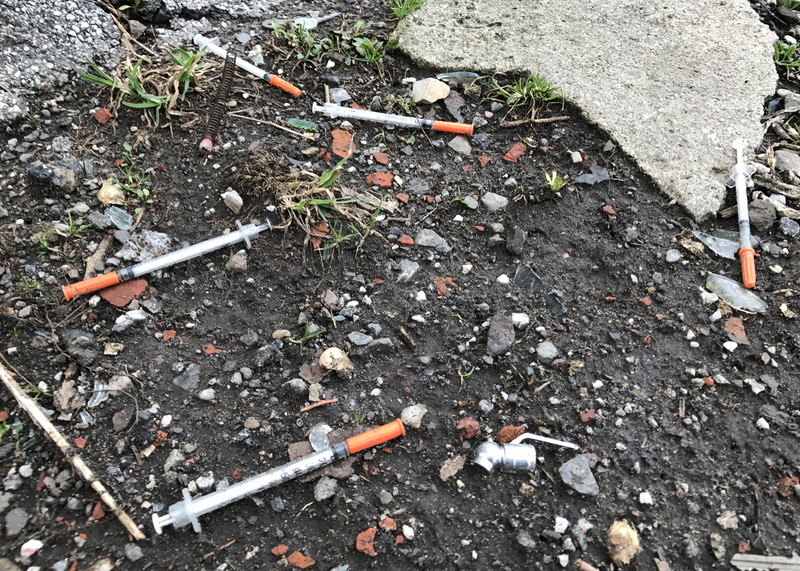 An overdose victim was found behind the properties, near a playground. The house appears to be leaning towards a low-income apartment building. 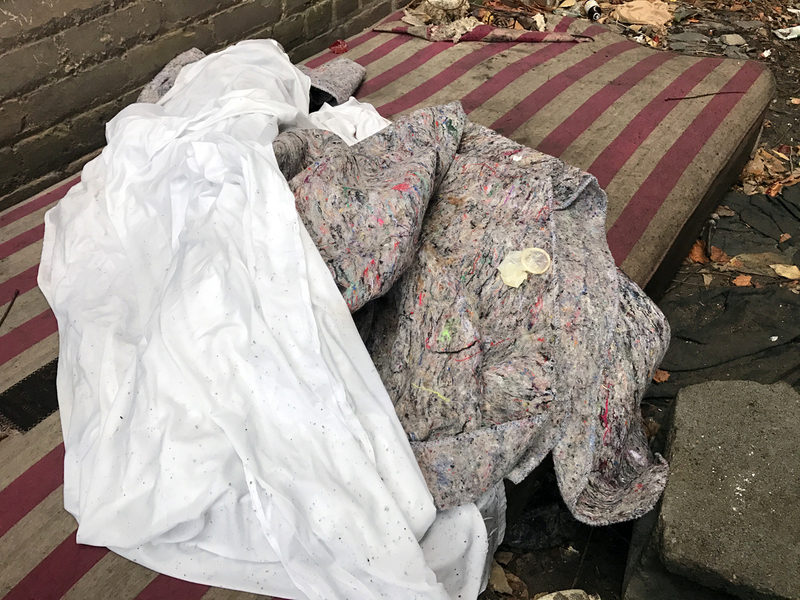 A bed with a used condom at the side of the house. A fence has finally been erected.